The Nantes - Brest canal is a smashing cycle route. The surface is usually good, much better than most British canal towpaths although gravelly in places. It is very picturesque, goes through some equally picturesque towns and many villages and is of course flat. We pedaled from Carhaix to Redon, a distance of a little over 200km, and only left it a few times to find shops. We camped beside it most nights and in camp sites along the way other nights. Carhaix, Pontivy, Rohan, and several other smaller places have campsites. It is probably busier in the summer but in September we had it almost to ourselves. 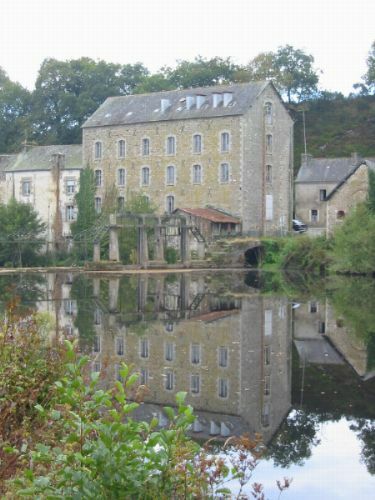 Only the section from Pontivy to Nantes is navigable due to a hydro scheme which has flooded the valley it passes through 10km before Pontivy. However it is all well maintained. 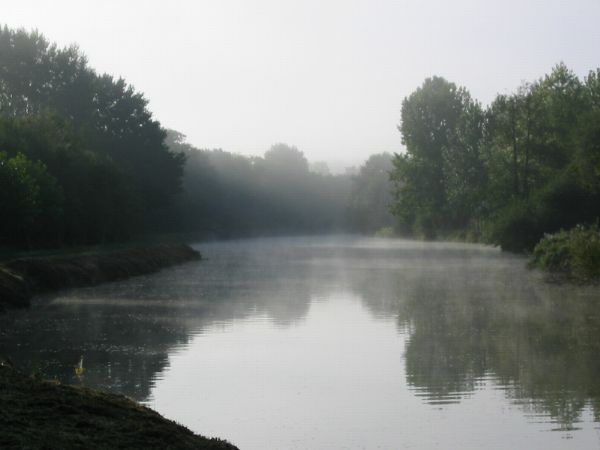 It is much bigger than a British canal and often follows the line of a river, which is perhaps why it is so beautiful. There is lots of wildlife, we saw kingfishers, buzzards, many herons and possibly an otter. Unfortunately they were too quick to appear in the wildlife section! 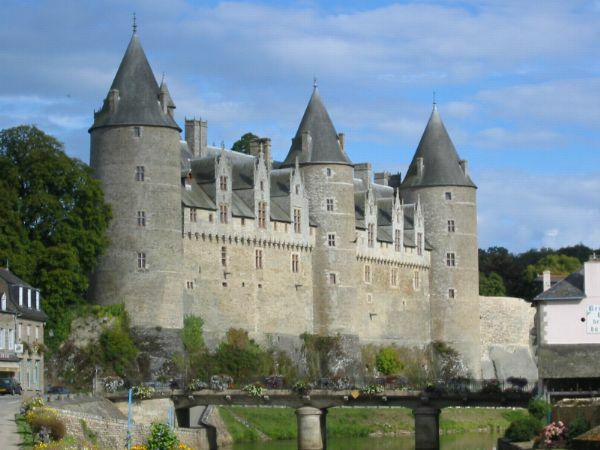 Chateau de Rohan overlooking the canal at Josselin. One morning we were up early enough to be rewarded with the sight of the morning mist boiling off the canal as the sun reached it.